The Humane Farming Association (HFA) has issued an alert about H.R. 2646, the downed animal protection amendment which recently passed the House of Representatives as a attachment to the Farm Bill (see issue #34). 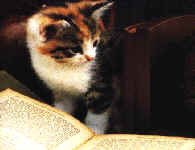 It warns that language from the Downed Animal Protection Act (H.R. 1421) was detrimentally altered prior to being amended to the bill. The criminal violations and the civil penalty sections were removed, and an exemption was added which allows nonambulatory animals who receive relevant veterinary care to be marketed. HFA alleges that the current amendment ALLOWS the continued abuse and exploitation of critically ill and injured animals - and has NO CRIMINAL PENALTIES - even for the most egregious offences (sic). The organization is urging advocates to contact legislators and request support of only the full language contained in H.R. 1421. The Humane Society of the United States (HSUS) and Farm Sanctuary are the main proponents of the amendment. In response to HFAs accusations, HSUSs Wayne Pacelle released a statement pointing out that the legislation is an amendment to the Packers and Stockyards Act (PSA). He states that penalty provisions in the PSA will apply to violations of the amendment. Pacelle asserts that if an operator is found in violation, government agents may issue a complaint. If, after a hearing, the operator is found guilty, an order would be issued that may include a cease and desist order and a fine of up to $10,000. Farm Sanctuary also issued a statement which concurred with the HSUS statement in accusing HFA of being in league with industry in its opposition to the amendment. In it, Gene Bauston notes that the amendment requires that nonambulatory animals either receive veterinary care or be euthanized. Bauston also mentions that the amendment utilizes existing penalties in the Packers and Stockyards Act which carry fines up to $10,000. Farm Sanctuary points out the urgent need for federal protection of these animals, as did the HSUS statement. Some other animal protection organizations have voiced their opposition to the amendment. Friends of Animals, United Poultry Concerns, and the International Society for the Protection of Exotic Animal Kind & Livestock (ISPEAK) argue against allowing animals who have received veterinary care from being exempted. Also noted is the need for specific criminal penalties. ISPEAK further contends that a federal law that exempts animals might be used to interfere with state cruelty laws that could protect them. Downed Animal Amendment Good for Animals, A Response, Wayne Pacelle, The Humane Society of the United States, November 1, 2001. 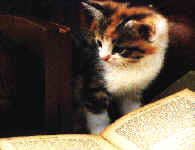 Downed Animal Amendment Good for Animals? ISPEAKInc, AR-News, November 1, 2001. Sec. 945. Unlawful Stockyard Practices Involving Nonambulatory Livestock. `Sec. 318. Unlawful Stockyard Practices Involving Nonambulatory Livestock. `(1) HUMANELY EUTHANIZE- The term `humanely euthanize' means to kill an animal by mechanical, chemical, or other means that immediately render the animal unconscious, with this state remaining until the animal's death. `(2) NONAMBULATORY LIVESTOCK- The term `nonambulatory livestock' means any livestock that is unable to stand and walk unassisted. (2), it shall be unlawful for any stockyard owner, market agency, or dealer to buy, sell, give, receive, transfer, market, hold, or drag any nonambulatory livestock unless the nonambulatory livestock has been humanely euthanized. `(A) NON-GIPSA FARMS- Paragraph (1) shall not apply to any farm the animal care practices of which are not subject to the authority of the Grain Inspection, Packers, and Stockyards Administration. `(B) VETERINARY CARE- Paragraph (1) shall not apply in a case in which nonambulatory livestock receive veterinary care intended to render the livestock ambulatory. `(c) APPLICATION OF PROHIBITION- Subsection (b) shall apply beginning one year after the date of the enactment of the Farm Security Act of 2001. By the end of such period, the Secretary shall promulgate regulations to carry out this section. '.Passed the House of Representatives October 5, 2001. A Bill to amend the Packers and Stockyards Act, 1921, to make it unlawful for any stockyard owner, market agency, or dealer to transfer or market nonambulatory cattle, sheep, swine, horses, mules, or goats, and for other purposes. Section 1. Short Title. This Act may be cited as the `Downed Animal Protection Act'. Sec. 2. Unlawful Stockyard Practices Involving Nonambulatory Livestock. Sec. 318. Unlawful Stockyard Practices Involving Nonambulatory Livestock. `(1) The term `humanely euthanized' means to kill an animal by mechanical, chemical, or other means that immediately render the animal unconscious, with this state remaining until the animal's death. 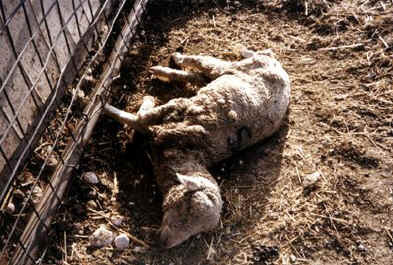 `(2) The term `nonambulatory livestock' means any livestock that is unable to stand and walk unassisted. `(b) UNLAWFUL PRACTICES- It shall be unlawful for any stockyard owner, market agency, or dealer to buy, sell, give, receive, transfer, market, hold, or drag any nonambulatory livestock unless the nonambulatory livestock has been humanely euthanized. `(c) CIVIL PENALTY- The Secretary shall assess a civil penalty of not more than $2,500 against any stockyard owner, market agency, or dealer that violates this section or any regulation or order of the Secretary under this section. A penalty under this subsection shall be assessed by the Secretary on the record after an opportunity for a hearing. Each day on which a violation occurs and each instance of prohibited action against nonambulatory livestock shall be considered a separate violation. `(d) CRIMINAL VIOLATIONS- Any stockyard owner, market agency, or dealer that knowingly violates this section or any regulation or order of the Secretary under this section shall be fined under title 18, United States Code, imprisoned for not more than one year, or both, for each violation.'. (b) EFFECTIVE DATE; RULES- Section 318 of the Packers and Stockyards Act, 1921, as added by subsection (a), shall take effect at the end of the one-year period beginning on the date of the enactment of this Act. By the end of such period, the Secretary shall issue such rules as are necessary to implement such section. A Bill to amend the Packers and Stockyards Act of 1921, to make it unlawful for any stockyard owner, market agency, or dealer to transfer or market nonambulatory livestock, and for other purposes. This Act may be cited as the `Downed Animal Protection Act'. 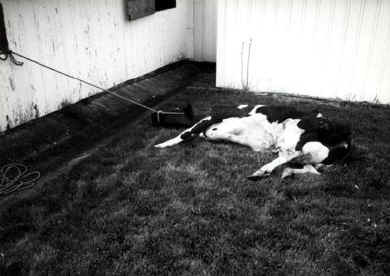 `(1) HUMANELY EUTHANIZED- The term `humanely euthanized' means to kill an animal by mechanical, chemical, or other means that immediately render the animal unconscious, with this state remaining until the animal's death. `(b) UNLAWFUL PRACTICES- It shall be unlawful for any stockyard owner, market agency, or dealer to buy, sell, give, receive, transfer, market, hold, or drag any nonambulatory livestock unless the nonambulatory livestock has been humanely euthanized.'. (b) EFFECTIVE DATE- (1) IN GENERAL- The amendment made by subsection (a) takes effect 1 year after the date of the enactment of this Act. (2) REGULATIONS- Not later than 1 year after the date of enactment of this Act, the Secretary of Agriculture shall issue regulations to carry out the amendment. Photos from Farm Sanctuary with our thanks.